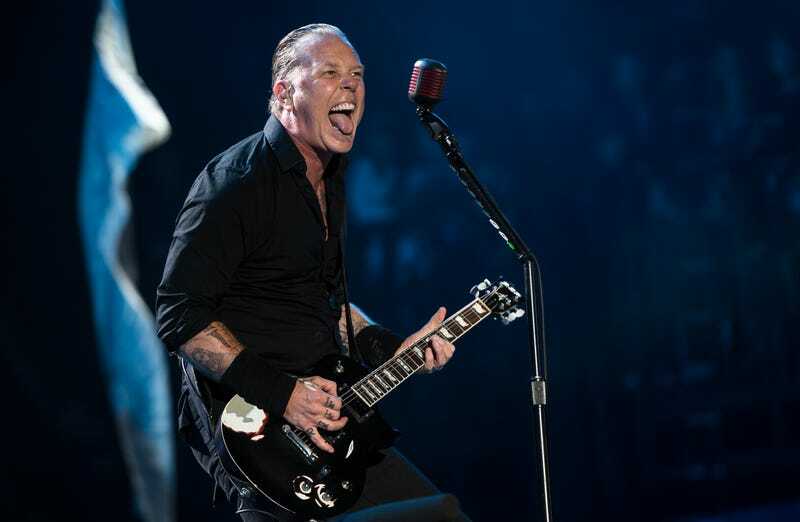 On Tuesday, we reported that Metallica frontman and known cop-lover James Hetfield will make his acting debut in Extremely Wicked, Shockingly Evil and Vile, a feature film detailing the life of serial killer Ted Bundy, as played by Zac Efron and directed by Joe Berlinger, who worked with Metallica on their 2004 documentary Some Kind Of Monster. Hetfield plays a “no-nonsense” guy who “was the first law enforcement officer to arrest Bundy in 1975 after pulling the killer over and discovering burglary tools in his car but wisely suspecting much worse,” according to a statement from the film’s representatives. Berlinger has shared the first picture of Hetfield in his role and it is all too fitting. Check it out below, and remember—Metallica is cops!